Orange assault made statements today, answering all directions, sometimes to ARCEP, sometimes to its competitors. But it is also justified from its employees and their union representatives, while he was accused of having made something of a gift to society by Xavier Niel. In an internal letter dated March 1, Pierre Louette, the Deputy General Manager of Orange, is the account of pragmatism the signing of this agreement. First, because an obligation was on operators to reach an agreement with Free, and then "if [Orange] had not done one of our competitors would have done without delay." Consolation then, the deal will result by 2015 by paying a Free Orange to an amount greater than one billion euros, "it will enable us to offset the impact of Free on our sales." Finally, Pierre Louette recalls the obligation of Free is building its own network and rely less on Orange over time. 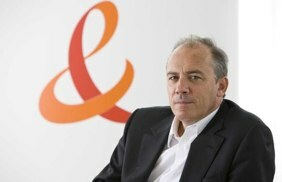 This morning, Stéphane Richard, CEO of Orange who said in an interview with Echo of ARCEP's statements and its competitors (read Free Mobile: report of the hearing of ARCEP & Free Mobile / Bouygues Telecom: the game continues). He reiterated that the addition of 3G roaming in the contract with Free (only 2G was mandatory) was inevitable, because it will ultimately be imposed by the government. France Telecom has been anticipating an announced deadline. Stephane Richard then surprised critics of its competitors on the opacity of the contract with Free "On the wholesale market, contracts between operators, private companies and listed, are not public. Only the regulator can obtain access thereto. Why should an exception to the contract between Orange and the fourth operator? Should I also denounce the opacity of the contracts between SFR and its MVNO, like the one with the Post Office, on which we were also in contention? This is not serious. " Network problems faced by these three days have given Free food for thought. The CEO said he was surprised that the President of ARCEP has made the distinction between network coverage and quality of service rendered. This is to justify that Free has obtained the green light, even though the quality is not always offered the appointment. Stephane Richard springs an old statement of ARCEP, 2009, for 3G networks, and in which these two concepts were related. He also said "shocked" by what the President of ARCEP inviting operators to draw conclusions from the opening match of the Free, by alleviating their costs, "Is this an invitation to conduct layoffs, even as we seek to save manufacturing jobs throughout the territory? Is this an incentive for infrastructure sharing? It would still be paradoxical, when everything was done for the emergence of a new network ... "
CEO refutes criticism on the price of moving to France, echoing once a survey of British regulator that placed France in second place among European countries the most competitive rates on mobile packages. The former chief of staff to two ministers of the economy between 2007 and 2009 therefore denounces "an ideology that makes competition the only goal of public policy and which has already greatly weakened European operators, as evidenced by the collapse of their market value for several years. Now everyone realizes that this will do damage. " Finally, it confirms that the roaming agreement with Free is discussed again with an amount greater than the previously estimated one billion euros and it is still too early to talk about homelessness in 4G. Final details, the four major operators will meet tomorrow at Bercy to sign an agreement for joint management of 2G/3G network in the Channel Tunnel (the Olympics start in June in London). And this Thursday, there is this much-anticipated rendezvous: the presentation of financial results of Iliad where we should finally know how many customers - active or pending activation - Free Mobile account.